Batteries will last over 500 hours in continuous service. 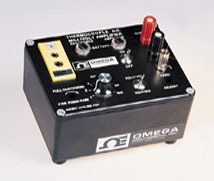 The OMNI-AMP IIB model has been discontinued. Please see the OMNI-AMP IV as a possible alternative or contact our Temperature Engineering Department.